The scene at Broadway In Bryant Park. 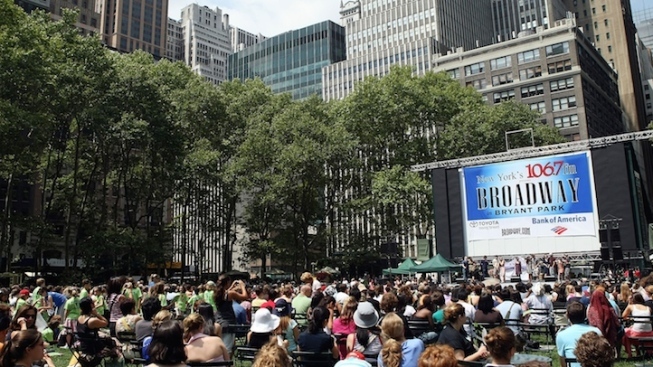 Presented by 106.7 Lite FM, the series brings Broadway and off-Broadway’s best outdoors, for hour-long concerts at the Bryant Park stage (Sixth Avenue between 40th and 42nd Streets). Each concert begins at 12:30 PM. For more information, visit www.bryantpark.org.